The West Village Ramble – Photography, Musings, and the Hunt for Truth from the Capital of the World. I am excited to begin 2018 with the joy of the Christmas season! 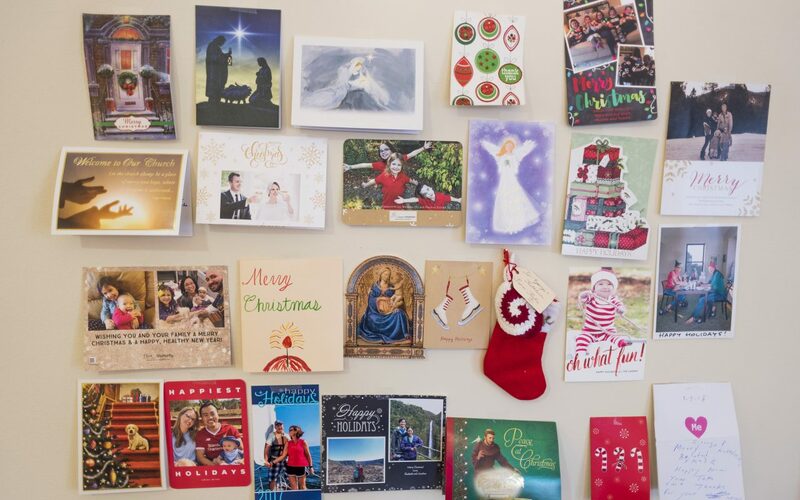 Each Christmas card — and other forms of gift and greeting — brings hope of renewed relationships and a fresh way to encounter each other. Yasmin Neil, 24, a Bronx girl with a troubled past turns to making a different kind of trouble: side-walk counseling women as they enter abortion clinics. Whether met with anger and threats or hope and follow-up questions she is single-minded in her conviction that she is doing the right thing. Yasmin offers a glimpse into the work done at Expectant Mother Care (EMC), a network of “crisis pregnancy centers” in the South Bronx, Queens, Brooklyn and Jersey City. EMC offices are never far from abortion clinics; in one case it is several floors above Planned Parenthood. The underlying conflict for Yasmin, however, is not about mending an ideologically-polarized America suffering through the tumult of an election year, but how she can communicate effectively to the women and girls whose crises may extend much further than an unplanned pregnancy. She listens to women from all walks of life pour their hearts out. Motivations vary: One woman sought to cover up an affair fearing her husband’s retribution; another had six mouths to feed at home and did not want another. While the counseling sessions could not be filmed, the first-person narrative presents a young woman with a choice that continues to haunt: Why did she say yes to this job of little pay and which exacts a severe emotional toll? While viewers may not agree with her, they may be struck by her character: a melding of gentleness and fortitude. One can only hope that she will bring comfort to the women in her care. Doris Diether in her West Village apartment. 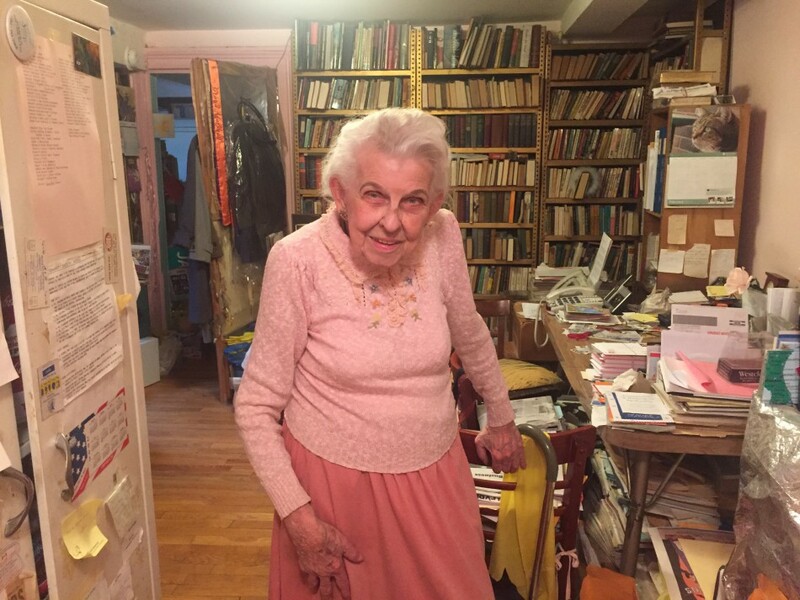 Doris Diether, 87, keeps a growing stack of newspaper clippings of ultra expensive homes for sale in the West Village—even though she is not a prospective buyer. She lives in the rent-controlled basement apartment of 107 Waverly Place, a townhouse one block away from Washington Square Park. She took her landlord to court for his attempt to pressure her out. While this asking price may be a free market bonanza for the owner, Diether sees it as part of a troubling trend. As a key ally of the late Jane Jacobs, a legendary activist for small-scale communities, Diether said that the health of the neighborhood depends on diversity, including the income levels of its residents. Jacobs proposed this concept in her book, The Death and Life of Great American Cities. Diether takes credit for tipping Jacobs off to Robert Moses’ plan to turn Washington Square Park into a roadway. Diether’s most recent battle included successfully organizing musicians to block the city’s attempt to bar them from performing in Washington Square Park. Here are are few more articles about Diether’s civic activism. This interactive map can give a sense of the scale of how many rent-controlled apartments, like Diether’s, are being lost in the West Village and throughout the city. One thing to keep in mind, the data for the map is based on the tax receipts of the landlords. 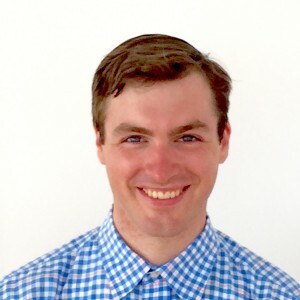 Unfortunately, there are an unknown number of incidents where an owner will sell his building to someone else and the new owner will keep the rent control status of the apartments on the books, but charge the tenants market rate. Sharp writing. Strong Photos. Beautiful Fonts. Nowhere Magazine is my site of the day. I first found out about it when browsing in a magazine store in the West Village. It featured a traveler who went to Aleppo in Syria during Assad’s bombing campaign. Photo credit: Nowhere Magazine.